‘Cause it ain't about thinkin' yourself rich or harnessing quantum pseudo-frequencies. Nope, it's WAY more simple than that. In fact, it's basic “schoolyard” psychology. And once you put in practice this fundamental economic principle, you'll have qualified prospects beating down your door wanting to hear all about your business. So read on and you'll learn all about how to instantly set yourself apart from the competition, so you're not fighting tooth-n'-nail for peoples' attention in today's busy marketplace! Regardless of all the online network marketing strategies available, at the end of the day, attracting prospects is all about the VALUE you have to offer. Now, value can be a little tricky to define. Price is one representation of value—it's a measure of how much the market deems people are willing to pay for something. Value is a bit more abstract than price alone. It's best described as the perceived benefit a person expects to receive from acquiring a particular good or service. No need to “geek out” on economic theory and put you to sleep, though. Now you might be wondering what can you possibly learn about building your business from an ugly, misshapen vegetable that’s damn near inedible until it’s properly washed, cooked, and seasoned? Believe it or not, the history of the potato is a shining example of how the perception of value can take something seemingly ordinary and make it downright irresistible in the eyes of the public. See, back in eighteenth-century Europe, people saw the potato as something SINISTER—farmers regarded it as foreign and totally alien, and many associated today's favorite vegetable with disease and filth. In fact, growing spuds was outlawed in France out of fear of leprosy until 1772. When folks of the day looked at potatoes, they didn’t see French fries or something you serve beside your steak, slathered in butter and sour cream. This negative sentiment was widely shared, despite the fact that many Europeans were suffering from rampant famine. They essentially had a miracle right in front of their faces! Potatoes could completely solve their nutritional woes, but the anti-potato sentiment was universal across Europe. Until, that is, an enterprising Frenchman, named Mr. Antoine-Augustin Parmentier, magnanimously conspired to put the humble spud on a pedestal. An army pharmacist by trade, Parmentier was captured by the Prussians and served as a prisoner of war during the Seven Years' War of 1756–1763. During his captivity, he was fed a diet of pig's feed—which was exclusively comprised of, yep, you guessed it—potatoes! So he realized the time was right to position the potato as a hearty new dietary staple for the French, replacing the likes of their beloved bread, which the public could no longer afford. Finally, he even convinced the king and queen to wear potato blossoms on their lapels! As a result of Parmentier’s “viral” marketing campaign, public interest grew and perceptions shifted. Within a few years, the potato became a staple of European cuisine and the continent's food supply doubled in short order. “So, what possible online network marketing strategy relates back to the potato?” you might ask. Parmentier's potato patch and altruistic antics illustrate a dynamic so simple every child in possession of a coveted new toy implicitly understands. That is, how exclusivity increases desire. Everyone wants what they can't readily have. Parmentier knew that he couldn’t sway public opinion about potatoes by labeling them hog feed. So instead he positioned them as something so precious they were worth guarding and reserved for the nobility. These same rules apply to the world of modern marketing, too. Think about the hordes of people that line up for intentionally limited-run Apple products or Air Jordan's. That’s the sort of effect you want to have on your prospects. People are naturally drawn to what’s scarce and exclusive. So while it might be tempting to emphasize how whatever you're selling is “affordable,” doing so lowers the value of what you’re trying to sell. When you try to take the budget approach, you both cheapen your product and your personal brand. Instead, you need to do the opposite. So how do you achieve that same effect yourself? When’s the last time you purchased something from a door-to-door salesperson? Or from a pop-up kiosk at the mall? What about the guy shouting at you to try his homemade beef jerky while you’re walking by and minding your own business at the farmers market? Even if you were interested in whatever these people were selling, their eagerness to make a sale is a bit of a turn-off, right? Your prospects play by the same rules! You can figuratively knock down people’s doors and hope they respond positively. Or you can attract them through creating content that speaks to their needs so they come to you. It's a truism that people love buying things, but they hate being SOLD. As soon as you try to push something too hard, your prospects will immediately shut down. Not only is this act of chasing down prospects time-consuming and ineffective, it’s downright exhausting and terribly unattractive. So if you're wearing yourself down while hunting for your next sale, it's time to make a change! It’s so much easier to brand yourself as a valuable resource, versus acting like the “budget option” of being too eager beaver the eyes on your prospects. When you create evergreen content that resonates with the desires and pain points of your audience, you're sowing the seeds of perpetual, passive marketing. 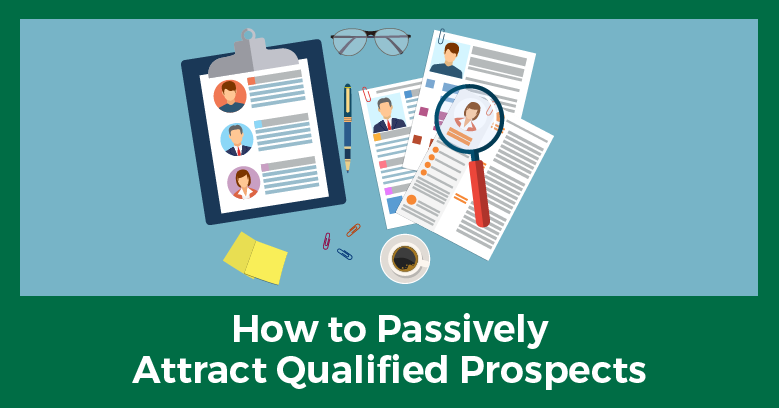 When you run ads that grab the attention of your prospects and gets them to click, you know your message is connecting. You become a valuable, one-of-a-kind resource. So rather than worry about where your next customer is coming from or trying to pursue your prospects, facilitate them coming to you! The alternative is the desperate, face-to-face approach that’s time-consuming and more like taking shots in the dark. Given how easy it is to run ads and create compelling content, no marketer should have to chase down prospects in pursuit of their next sale. That's just not an effective network marketing strategy these days. Like you learned above, many marketers fall into the trap of cheapening themselves or their products while pursuing more business. Just like the potato, which transformed from poison to panacea, so too can proper marketing elevate your business from nuisance to sought-after cure for your prospect's ails. It's all boils down to positioning. Then read our five secrets to attract lucrative prospects, or even better, get a crash course in effortlessly connecting with your ideal customers without being ‘spammy' by grabbing access to Elite Marketing Pro’s FREE 10-Day Online Recruiting Bootcamp. You’ll learn about the specific online network marketing strategies you can use to connect with prospects online, so you’ll never have to act desperate or chase anybody to make a sale, or deal with cold calling and rejection, ever again.